Simon is a Fellow of the Royal Institution of Chartered Surveyors (FRICS) and a corporate member of the Institution of Fire Engineers (MIFireE). He has a degree in Building having studied at Nottingham Trent University and a Masters in Business Administration (MBA) awarded by Nottingham Business School. He has a proven track record in both the private and public sectors as a dynamic transformational leader. In the private sector he has managed a vast variety of construction projects for some of the largest building companies in the UK, ranging from residential to multi million pound commercial developments. In addition to the above services Simon was responsible for ‘corporate enforcement’, dangerous structures and Safety at Sports Grounds. Under his leadership his services attained numerous coveted quality assurance and customer focused awards including Customer Service Excellence, Charter Mark, ISO 9002 Quality systems and Investors in People. 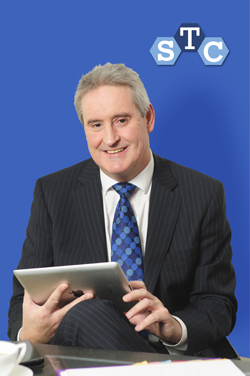 He has represented the surveying profession on numerous regional and national executive boards. He currently represents RICS on three British Standards Institution Fire Safety Committees, and is also a member of the RICS Fire Safety in Tall Buildings Working Group set up following the Grenfell Tower disaster. Simon was instrumental in setting up the Building Control pathway on the part time BSc (Hons) Building degree at Nottingham Trent University. He collaborated on the writing and development of 22 distance learning texts and packages for use on the above course and other degree programmes. He was a visiting lecturer and examiner for the Building Control Practice and Fire & Buildings modules at the University. Henry is a Chartered Building Surveyor (MRICS) and a corporate member of the Institution of Fire Engineers (MIFireE) with over 50 years experience within the built environment. He is owner/director of our sister practice, Henry Taylor Chartered Building Surveyors, which he founded some 20 years ago. Prior to this Henry was Head of Planning and Building Control at a Nottinghamshire local authority. 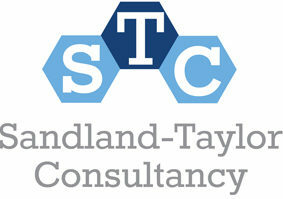 As a leading Party Wall Surveyor, together with a vast knowledge in Building Surveying, Planning, Building Control and Fire Safety, Henry brings to the Sandland -Taylor Consultancy a wealth of experience and expertise that is second to none. In addition to his vital role as a consultant, Henry is also one of our trainers and facilitators. John is a fellow of the Chartered Association of Building Enginers (FCABE). He has an Honours degree in Building having studied at Nottingham Trent University. He is currently chair of the Chartered Association of Building Engineers South Yorkshire and Humberside branch. John is a director of our sister practice and runs the design arm HTSW providing architectural services to a wide range of local, regional and national clients. John leads on all our planning and building control work, as well as supporting in the delivery of seminars and workshops. In between studying for her final year at medical school and working weekends in GP surgeries Laura plays a key role in our management and Business Consultancy and training. She has a Masters degree (with distinction) awarded by the Leeds University Business school. Her areas of specialism include Marketing, Motivation and Performance Management.